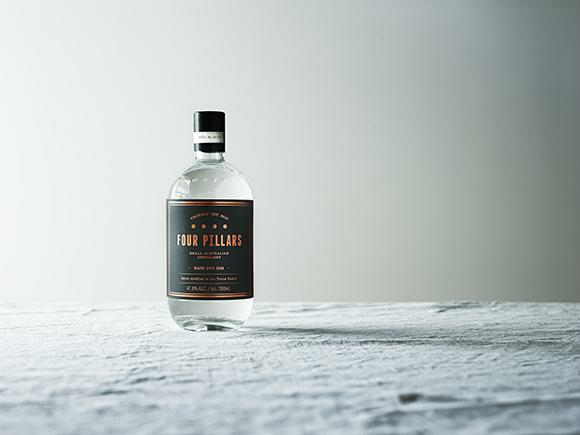 The Four Pillars gin has taken the gin scene by storm. It’s one of the first Australian craft gins on the market and it’s knocking it out of the park. After one too many G&T’s with very average tonic water, the idea of creating a top quality tonic water was born, but it quickly went on to be about the gin. Three mates Stuart, Matt and Cameron, who have always loved gin and cocktails, went on a journey to create a modern Australian gin. The result sold out in four days after the first batch of 420 bottles was released on the crowd funding page Pozible. That was back in 2013. The following year they won a prestigious double gold medal at the San Francisco World Spirits Competition just six months after their launch. A distinctive blend of botanicals, the use of a one-of-a-kind world class copper still, a brand, a name and a bottle to die for. Not to mention ultimate dedication and hard work. Four Pillars created something very unique. Later this year the doors will be opening to their very own distillery in Healesville, Victoria, creating a true destination for gin lovers and anyone else who appreciates and enjoys learning about where things come from and how quality products are made. We recently caught up with Co-Founder Matt Jones to hear a little bit more about the Four Pillars journey. Tell us a little bit about your professional background. I established Better Happy in 2012, a small creative agency that works with great brands and has them do great things that make the world better and people happy. And in 2013, I became one of three founders of Four Pillars, a small Australian distillery in the Yarra Valley, and the lead on brand and marketing. Prior to that I was the global head of strategy and creative at Jack Morton Worldwide, leading a global team of over 200 strategists, creatives, and designers across the USA, UK, Australia and Asia. Before moving into marketing and brand experience, I worked in government and politics for nearly 10 years. During my time as creative strategist and chief ideas officer at Jack Morton, first in Sydney and then in New York, I helped to define the discipline and methodologies of brand experience design and the building of experience brands. But after more than six years I decided that it was time to build my own brand and my own business. So Better Happy and Four Pillars were born. Stuart Gregor, Cameron Mackenzie and I are the three co-founders of Four Pillars Gin. The three of us were always gin drinkers and drawn to all things craft. Stuart and Cameron have backgrounds in the wine industry (production through to sales and PR), and I come from the worlds of brand and strategy. 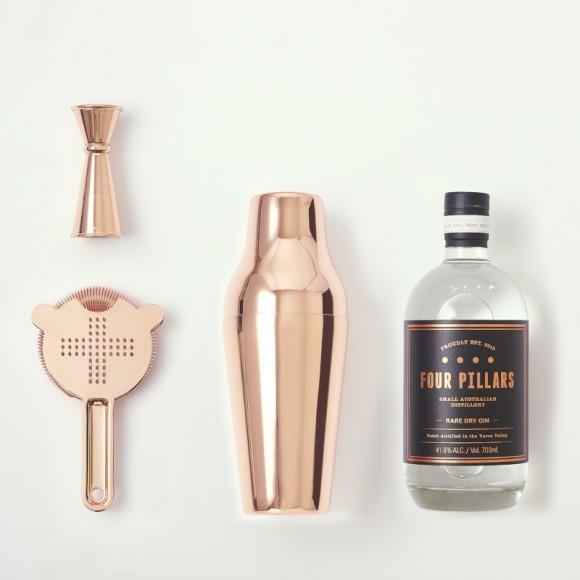 Four Pillars was born out of a love for gin, a love of hand-made drinks and a sense that we should be able to do something fun, different and unique in Australia with spirits. 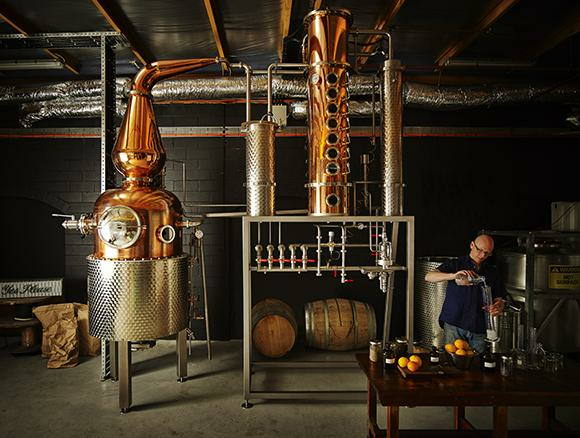 You sold your first batch of Rare Dry Gin through a crowdfunding campaign on Pozible. Tell us about that experience. We really wanted to test the appetite for craft gin in Australia as much as anything. Our aim was to sell about 150 bottles from the first 420 produced in the four week Pozible campaign. As it turns out we sold 150 bottles in the first 8 hours and all 420 in less than four days! And in this way we created our ‘Batch No.1 Club’, a highly passionate community of gin lovers who continue to support us to this day. All members of this club (and it’s grown to include those who have purchased from our first first batch releases of Barrel Aged and Navy Strength Gin) get priority access to new products and receive invitations to exclusive events. You have been running for 2 years now. How long time did it take from idea to final product? 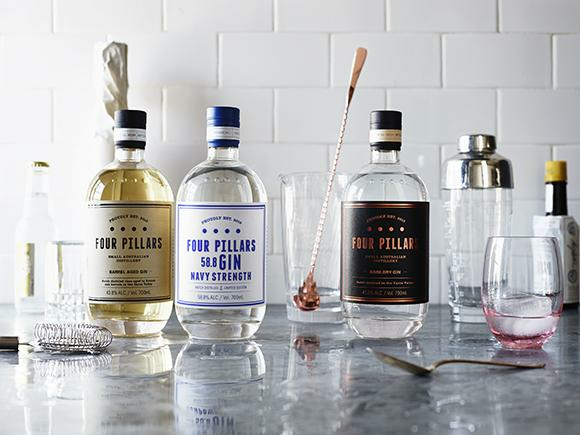 Four Pillars Gin was more than two years in the making. After spending time in the US talking to distillers, their craft distilling scene is fantastic and the distillers were amazingly giving of their time, we were convinced that we needed a still from CARL in Germany and that took 18 months to deliver. Meanwhile we started playing with a small glass still, just to see how the various botanicals interacted. After doing lots of reading, lots of tasting and lots of planning, we arrived at the final combination and balance of botanicals to produce Batch No.1 at the end of 2013. It’s been exhausting but fantastic fun along the way, and we have been thrilled with the result. We enjoyed reading about your purpose: ‘We wanted to elevate the craft of distilling in Australia and celebrate the art of cocktail making. We thought, if we can do that we can help people drink better, not more’. This rings very true to us at The Goods Tube - the value lies in the quality of the product and the aim is people realising that they need less stuff, but the good stuff. At Four Pillars, we want to elevate the craft of distilling, so everything we make is crafted on our four pillars. The first is our magnificent copper pot still, made by CARL in Germany. The second is our water, the best in the world, from our home in the Yarra Valley. Our third pillar is our botanicals, some of which are native to Australia and others which are sourced from around the globe. And our final pillar is love; we base everything we do on this - a commitment to craft and attention to detail every step of the way. And our “drink better, not more” message is a really critical one for the brand. We’ve all got a huge passion for great bars and great drinks. We think sharing your stories and laughter and sadness and life with people over a cocktail is one of the most wonderful things you can do. The world needs more reasons to put down that phone and engage with people face to face! That said, we all also believe that drinking in the wrong ways can cause enormous harm to people and their families. So we’re determined to be a brand that encourages all the right things around alcohol, enabling people to explore their love of cocktails and develop a really connoisseurship around gin. But we’re also determined to always be responsible and supportive of every effort to reduce the harm that alcohol can do in our world. Do you think there is a trend towards more boutique Australian made liquor brands? Well, we are the pre-eminent Australian craft gin, so that’s a good start. We have a style that is distinctive and definitely not another wannabe London Dry gin. It is very much a modern Australian gin. 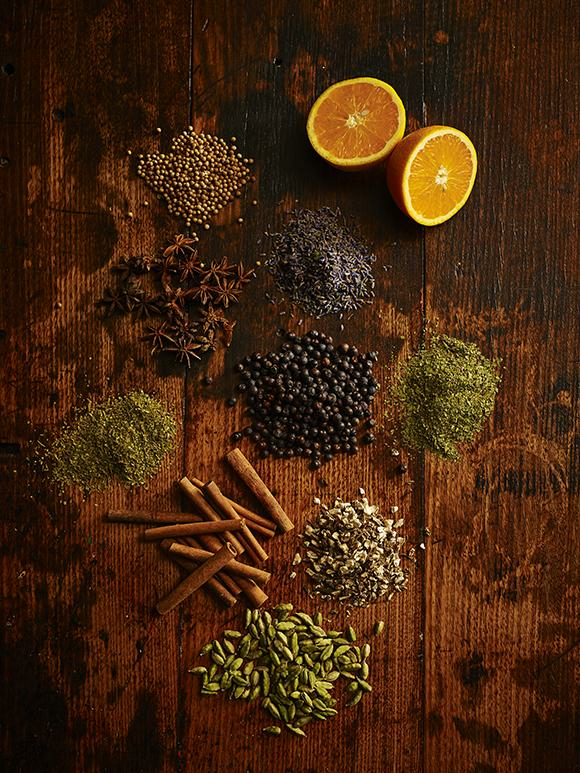 Our unique botanical mix, including lemon myrtle, Tasmanian pepper berry and whole oranges, makes us stand out from the crowd. We have not visited your distillery – yet – but it sounds awesome. Your beautiful copper pot still from CARL is named Wilma – that is a great name for a still! Is there a story behind the name? Wilma is our magnificent copper-pot still, handcrafted at the CARL workshop in Stuttgart, Germany and was the first of her kind commissioned in Australia. CARL make only about 25 stills a year and are considered the finest still makers in the world, family owned since 1869 which makes it Germany’s oldest distillery fabricator. It took nearly a year to build Wilma and she’s named after Cam’s late mother. She loved her gin, so it seemed like a pretty good tribute. 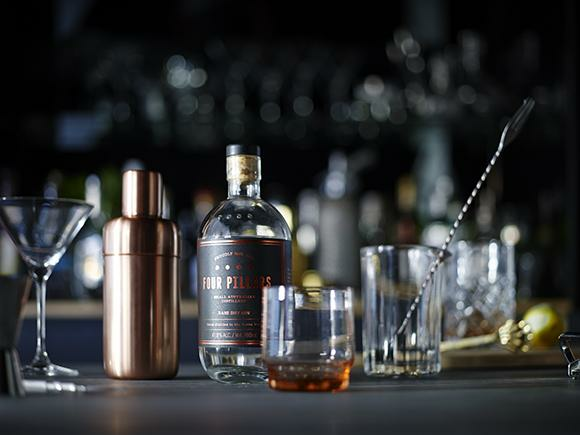 Wilma is copper and stainless steel – the only metals that should ever distill a fine spirit. She has a 450L capacity pot, a swans neck, a botanical basket that we fill with 5kg of oranges each gin distillation, seven distinctive aroma plates in her column that act to further refine the spirit, and a condenser by her side. 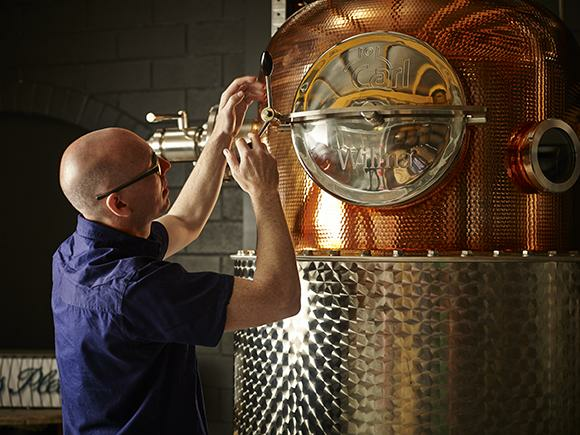 Wilma can create around 150L of high-proof gin each batch, which takes around seven hours. The gin comes out of Wilma at a rather breathtaking 93.5% alc/vol before we adjust it back to our regular or Navy strength. We produce around 450 bottles per batch. Some other things we love about your gin – that bottle! How did that shape come about? There were lots of things we considered in the design process. We wanted people to enjoy making cocktails with our gin, so we wanted to create a bottle that felt great in the hand. That’s where its weight and low profile came from. That said, we needed to ensure a smooth drip-free pour, which is why our low-slung bottle still has that nice elegant long neck. We wanted to celebrate the craft and love of great cocktails, so we wanted to capture a sense of the luxury and indulgence of cocktail hour in the design. And we wanted to create a bottle that looked beautiful whether sitting on the back of a bar or on your kitchen bench. We wanted a bottle of Four Pillars to be something you’d proudly display and share with others. You see that play out in the restrained design of the label and the simple elegant typography. We wanted to make a statement about the cosmopolitan confidence of modern Australia, so we tried to create a bottle and label design that felt classic and timeless from day one. So while our label rights says we were “Proudly Est. 2013”, the design hopefully says we could have been established anytime anywhere in the world. Ultimately we wanted to create a modern Australian classic, and we hope we’ve got somewhere close to doing that. And you use fresh oranges which we have learnt is quite unusual. But something even more unusual is that you make an orange marmalade out of it after the distilling process and you add Campari! Who came up with the crazy but brilliant idea of making Breakfast Negroni Marmalade out of the used oranges? Each time we make a batch of gin we find ourselves with around 3 kilograms of organically grown oranges that have essentially been steamed in gin, distilled with the nine other botanicals for seven hours. Tasting a piece of orange that was left over from the last distillation, Cameron was amazed by the flavours contained in it. The oranges had picked up a huge array of botanicals from the steaming process whilst at the same time holding onto their citric acids and sugars. As an experiment, he used the leftover oranges to bake a flourless orange cake. And in his words, it was so good that it felt wrong. Cameron then toyed with a few marmalade recipes which tasted unbelievable but maybe weren’t setting as you might expect.At this stage Cameron enlisted the skills of Caroline Gray, Master Preservist at Cunliffe & Waters down the road in the Yarra. By that afternoon, he had twenty jars of Four Pillars Marmalade on his doorstep and people were raving about it. As with the Rare Dry Gin, the marmalade was a hit. So we figured, why not use it in the same cocktail we think it was born for and add a cheeky splash of Campari? And so the Breakfast Negroni was born. What’s next for you and your brand? Four Ate Five is always a favourite. The Central Station end of Surry Hills is full of great bars, but I’d have to say The Wild Rover would be my pick at the moment. Favourite place for dinner with friends? That is a hard one, but I’d have to go with Ume as in fact this is where the three founders of Four Pillars first met to discuss taking over the (gin) world. Surry Hills Library is a great addition to the area. What’s something that only a local would know? Last but not least, share with us a favourite cocktail recipe? Our favourite cocktail recipe of the moment is an Army & Navy which can be done using our Navy Strength Gin or Rare Dry Gin. This is a variation on a classic sour which uses bitters and an almond–flavoured syrup called orgeat (which you can buy or make at home). This classic harks back to the gimlet of the nineteenth century. A cocktail of gin, sugar and lime juice the gimlet was created by the British Surgeon-General Gimlette to persuade naval officers to drink their lime juice as a counter to scurvy. In an Army & Navy the orgeat takes the drink to another level when used instead of straight sugar syrup. Take 60mL Rare Dry or Navy Strength Gin, 40mL lemon juice and 20mL orgeat syrup, shake it over ice, then strain and serve in a cocktail glass with a dash of Angostura bitters floating on the top (it should have a nice foam to it). And then of course there is the classic Negroni which is a match made in heaven with our Rare Dry Gin. The Negroni has a beautiful balance of flavours, it’s a tribute to the original definition of a cocktail: spirit, sweet, sour and bitter. Take equal amounts (30mL) of Rare Dry Gin, Campari and Red Vermouth. Layer them over ice in a short glass and squeeze in a twist of orange. Mix with a tall spoon and voila! The story behind the Negroni is that back in 1919 Count Camillo Negroni gave his favourite cocktail, the Americano, an extra kick by substituting the soda water for gin. Visit the Four Pillars website for more info. Be sure to subscribe to our newsletter for all the latest Goods Tube news! Cocktails in style. Smooth gin to nail the Army & Navy.